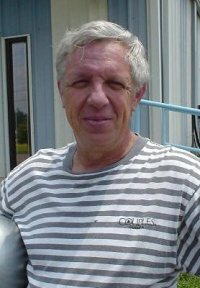 Carl Sampieri and I were sitting in the floor with three RCA AVQ-10 radar antenna assemblies..... none of which worked. The slip rings that transfered power through a rotating joint were burned due to the high humididity and rains of the previous month. The elevation control was intermittent, or worse, would point straight down as the slip rings lost contact. "IF" the antennas worked, there was a more serious problem.... the indoor display was being "killed" by ground return. Carl was hired as our "resident radar expert". (1) Carl had just returned from Viet Nam after a tour with the Air Force. (2) The Air Force used F-4 Phantom fighter planes. (3) F-4 Phantoms had radars. (4) All radars were similar. Sounded good to me . I was glad to have some help. Trouble was......... this was the first radar Carl had worked on; we were both lost; and bad weather was on the way. We flipped coins to see who would climb the tower and put one of the antennas back in the radar dome...... I lost. I climed the tower in a light rain shower and was glad to get inside the dome for shelter. I bolted the antenna to the brackets, and used some rope to prevent the elevation from falling down. By 4PM, we had the radar making a very weak picture. Something wasn't working right yet. 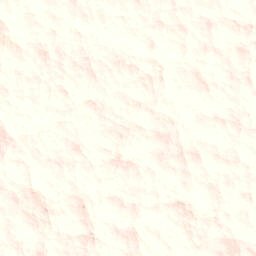 We decided that "some radar returns" were better than "no radar returns", and that we should leave everything alone until after the storm passed. The storms that hit later that night were dumping so much rain that a good radar would have been overwhelmed. Our "insensitive" radar, on the other hand, showed only the most intense hook echos. One of the storms took out the NWS radar at the Jetport, and 31 was the only station running live radar that night. The other stations were watching 31 for their weather coverage. I was a seventh grader in the band at Scottsboro Elementary. Patterson had just been elected as Alabama's Governor, and Scottsboro High had been invited to march and play in the inauguration parade. To give the appearance of a larger band, the seventh and eighth grades ( all twenty of us ) were drafted into the High School Band. That's where I met "Mutt and Jeff", or as I learned later, "Cactus and Brad." It wasn't hard to identify the two..... one was six foot-four and the other was four foot-six, and they were always together. Cactus played trumpet...... Cool !! so did I. The one I remember most was : Yes, it is possible for two people to fit inside a tuba case........... for fifty miles. Brad explained to the seventh graders that the band director didn't allow gambling and that they were playing cards, but I don't think they had a flashlight. 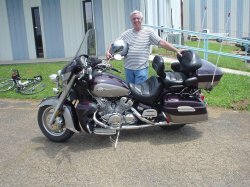 Don with recent motorcycle (2003) he bought and rides. 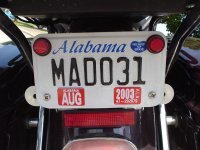 He got a "MAD 31" tag by accident, but he says he certainly is not mad at 31. I (M.D.S.) met him on my bicycle (notice in background on left) on this hot day in August to take these photos. The wind started blowing harder, and the cars and trucks were all going faster , throwing water everywhere. We retreated up the concrete sides, up under the highway. We sat there for several minutes as the weather got worse. After several minutes of small talk, one asked if I "wanted a smoke"
Do you remember the scene in "American Grafetti" where Richard Dryfus gets "invited" to ride with the "Pharoes" after they caught him sitting on one of their member's car hoods ? ........... same situation. I could have left the motorcycle and run back towards the gas station on foot, or I could have acted really cool and said , "Thanks, I left my cigs back at my old lady's". 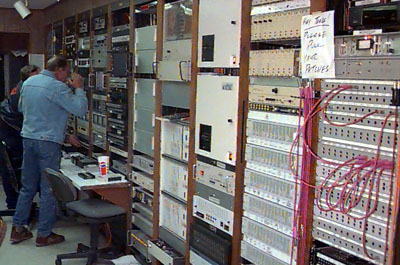 He reached in his pack and pulled out some rollers that looked like something I had seen several of the WAAY-TV Switchers smoke when they were checking the water levels of the heat exchangers behind the transmitter. ( but that's a different story ). I was hopeing for something with a filter, but I didn't think it would be polite to refuse whatever was offered. We sat there for another 10 minutes or so ( seemed like hours ) , then the weather cleared, and the bikers headed off towards Birmingham, and I headed towards Huntsville. Talk about split personalities.... I was using my left hand to keep my right hand from opening up the throttle all the way home. I parked the bike ( how I found home is still a mystery ) , crawled into bed after eating a half loaf of bread and a half jar of Peter Pan peanut butter. Made myself a promise. " I'll just get wet before I ever stop under I-65 again." Promise kept. . . . . . . and now, you know "The Rest Of The Story"